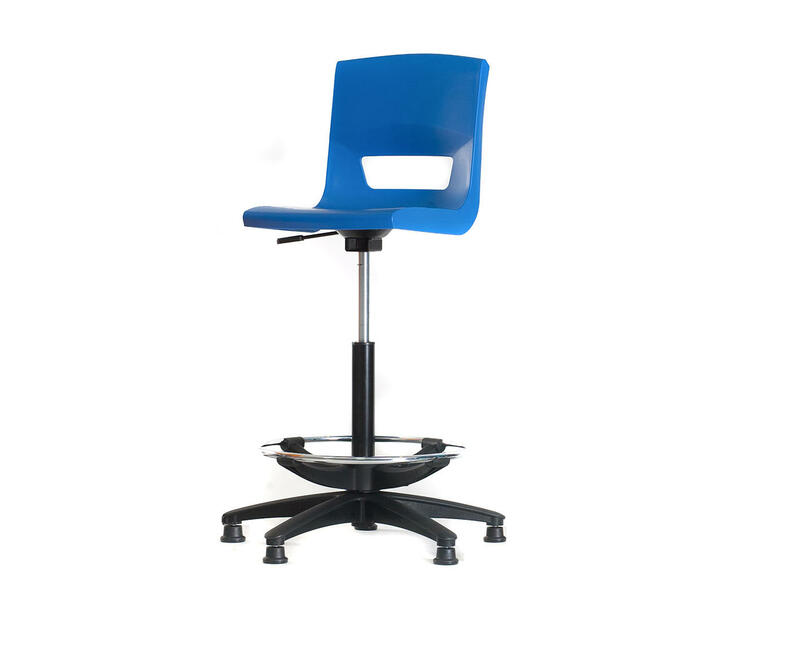 The Postura+ high task stool is ideal when working in laboratories with high benches with its gas lift height adjustment enabling a multitude of different heights to suit the user. Wipe clean chrome 5-star base and tough and comfortable polypropylene seat back. Ergonomically designed to ensure comfort and fully compliant to British & European seat standard EN1729. Available with castors or glides.